This year we teamed up with Surface Gallery in Nottingham to organise their annual East Midlands Graduate Project. This one month residency supports Fine Art graduates from across the region as they make the transition from university to the professional art world. 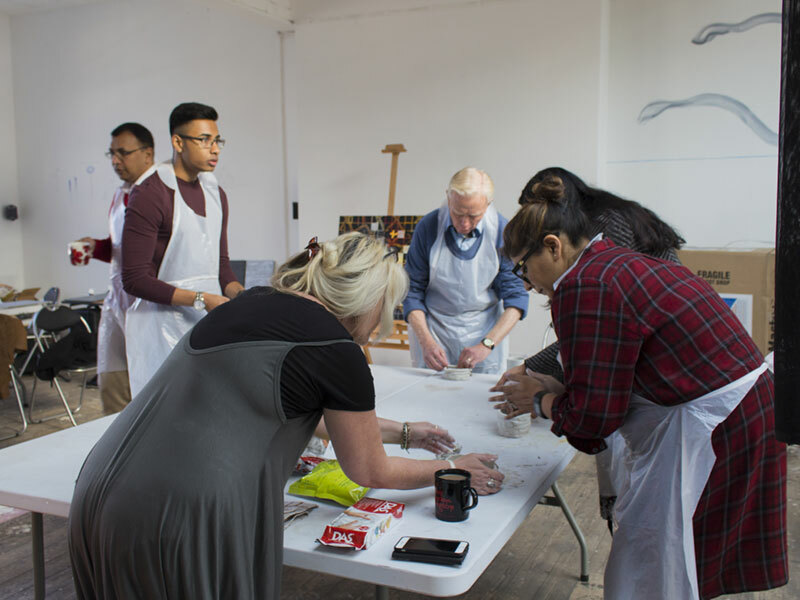 Every Saturday throughout the residency, artists will be running a series of free workshops. These range from printmaking, producing sound to making your own creatures and are tailored to a wide range of communities, ages and interests. There are still a number of places available on these for more information see Surface gallery’s website.